Tips - advice and help with shipping ! 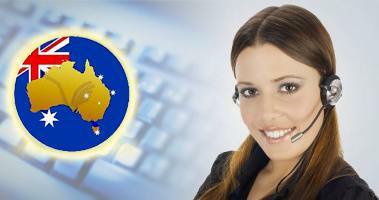 Professional support online and by phone! Off course the first thing you want to know before you relocate is to find out how much money you will have to spend. If your budget is limited we had prepared a few very useful tips for you. Please read the "advice on shipping" article below to get an idea of where to start! Discover shipping tips and useful information. Please remember that you may not be able to foresee everything by yourself. Planning the entire relocation with just a little bit of moving experience may cause some kind of losses (time, money, items left behind, etc...). You can contact us for a free advice and help with planning your move. First thing when preparing for shipping is to sit down and think what you want to take with you and what you should get rid of to minimize the volume of your removal. Speak to each member of your family and find out what is important for them. Things and other items that are of no importance to you may be very valuable for your kids, grandma and other family members. Once you have gathered all the information please take a peace of paper and make a list of each room in your house, including the garden shed, garage and the loft. Next go to each area of your home and make a full inventory of at least the biggest items. Now you can use your computer to prepare a digital format of your list - be it word, excel or PDF. This will save you a lot of time when requesting quotes from shipping companies. Instead of typing out or dictate the same details each time you contact different firms you can simply copy them, paste in and send an email. By doing this you will give each company the same chance to quote and compete with each other based on the same requirements. This will allow you to compare your shipping costs more accurately. It is advisable to start looking for the quotes at least 3 months in advance and do not worry if you do not know the exact address yet, the name of the town or nearest city is OK at this stage. When requesting quotes ask for a few options: full container or just a part of your goods. If you prefer to meet your removal company representative at your home that would be even better. The survey is free of charge and with no obligation and you will let the professional to assess your requirements. Need to come back from Australia? Are you moving the other way around from Australia to the UK? You need to contact our business partner - Crown Relocations which is a fully professional shipping company with branches in Melbourne, removals to Adelaide, Brisbane, Sydney, Perth and Canberra. For our clients we have prepared a list of things to do before you move, during and after relocating to Australia. Sometimes it is quite important that you plan, prepare and do everything step by step. This will help you to avoid unnecessary stress, delays and will keep your expenses to minimum. Prepare your your family so you can enjoy Australia from the day 1. We look forward to hearing from you soon! Would you like to get some	more help with shipping to OZ? We are the specialist you are looking for. We can organize any type of transport. Just give us a call for a free shipping cost estimate. Different things must be placed in separate containers: dishes in one box, clothes in another, book in the third and so on. A good moving tip is that you sign all cartons using a marker pen to avoid confusion. When small things have been collected and packed, you must sort out the furniture. We advise that you broke them down into smaller components, and if necessary, wrap using a packing paper or bubble oilcloth. All screws must be put into one bag. Immediate shipment is what you need. To implement it you have to order a special transport. If you carry baggage or small items and you are short of time, you can get some quotes from an air freight provider, and it can be done independently. Our moving advice for the transportation of large volume of furniture is to turn to a specialist company. And do not skimp on this, otherwise your things will not reach their destination in a presentable form. 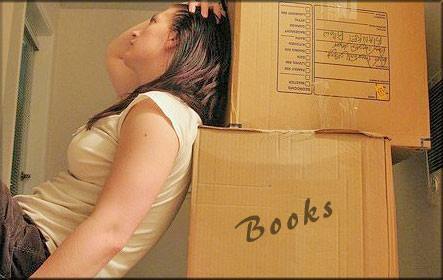 Professional advice, tips and help with moving. What food can you take to Australia? What to do with children during the move?